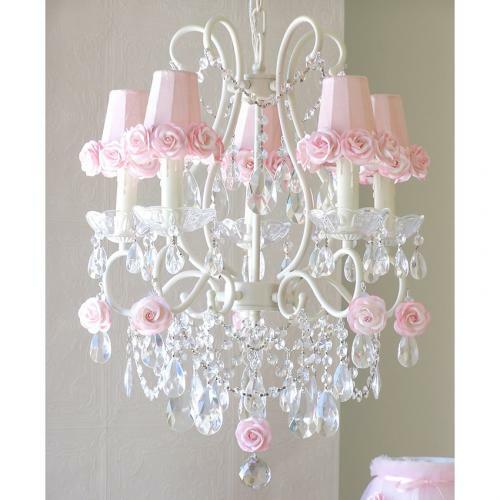 Pink and White Crystal Chandelier - This beautiful chandelier is adorned with Dupioni silk pink shades and sweet Mulberry roses. 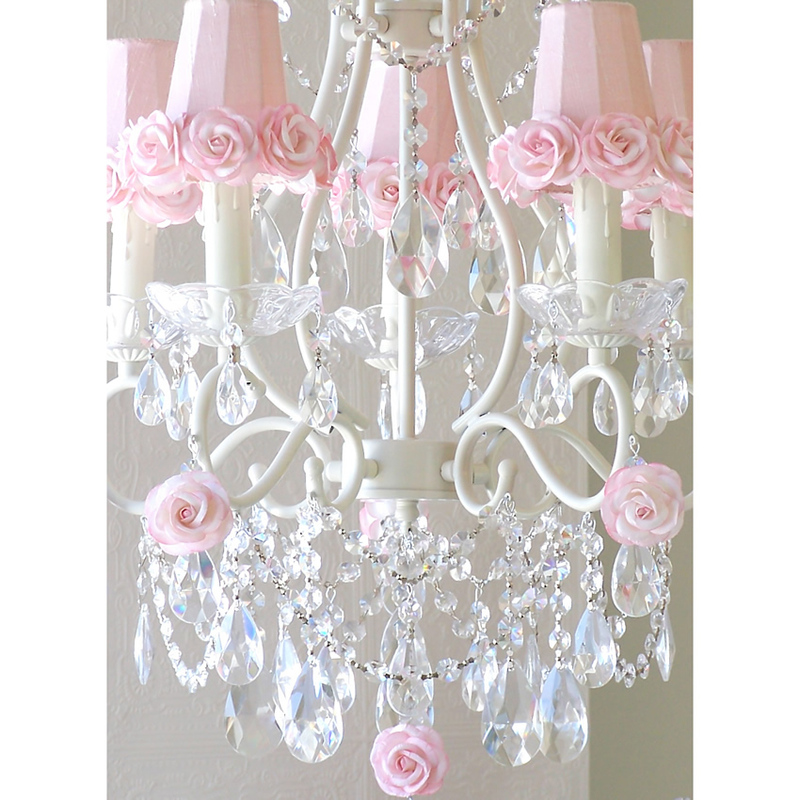 This pink and white crystal chandelier has tons of sparkle and shine featuring teardrop prisms and layers of dangling crystals. 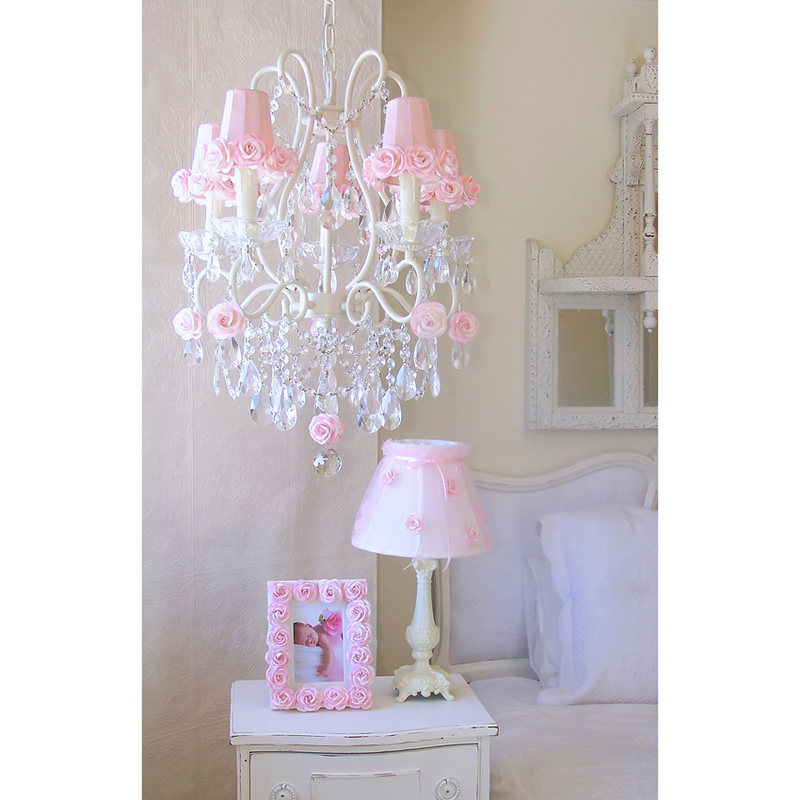 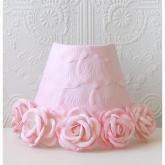 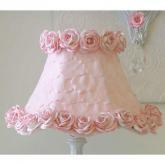 Add romance to your room with this dreamy hand made chandelier. 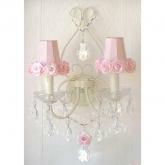 Comes ready to hang with a matching ceiling canopy and a 22" long painted chain.